How is your current online marketing strategy working for you? How is your current online marketing strategy working for you? What, you don't have one? Well, you aren't alone, a surprising number of businesses either neglect online marketing altogether, or they do it as an afterthought, with no rhyme or reason to it. In today's tech-savvy environment, you must have an active online marketing presence. You most likely know this, but either haven't had the time or the found the resources to make it happen. 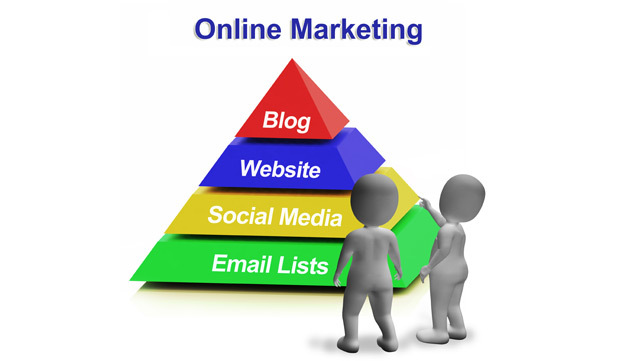 I am going to offer you some basic tips to develop online marketing strategies that are effective and simple. Is my content informative, engaging and scannable? Do I use subheadings, bullet points, compelling images? Is my contact information current? Do I have a call to action on each page? Is my content shareable? In other words, are my blog and website linked to social media platforms like Twitter, LinkedIn, Pinterest and Facebook? Are my viewers able to share content with one click? Post daily. Share your content, news and updates, sales and specials on your social sites. Don't make every post a sales pitch. Respond to questions, complaints and compliments. Responding is how you develop relationships with customers. Be a good follower. This is vital on sites like Twitter. Follow back, share and comment. Be friendly, SEO friendly that is. This goes back to your website and blog, but also applies to your social networking, as that can now improve your Google search rankings. If you are out of touch with recent SEO developments, you may want to consult with a marketing company that is in the know. For more help with online marketing strategies, sites like webstetic can put together a strategy that is tailored to your business marketing needs.